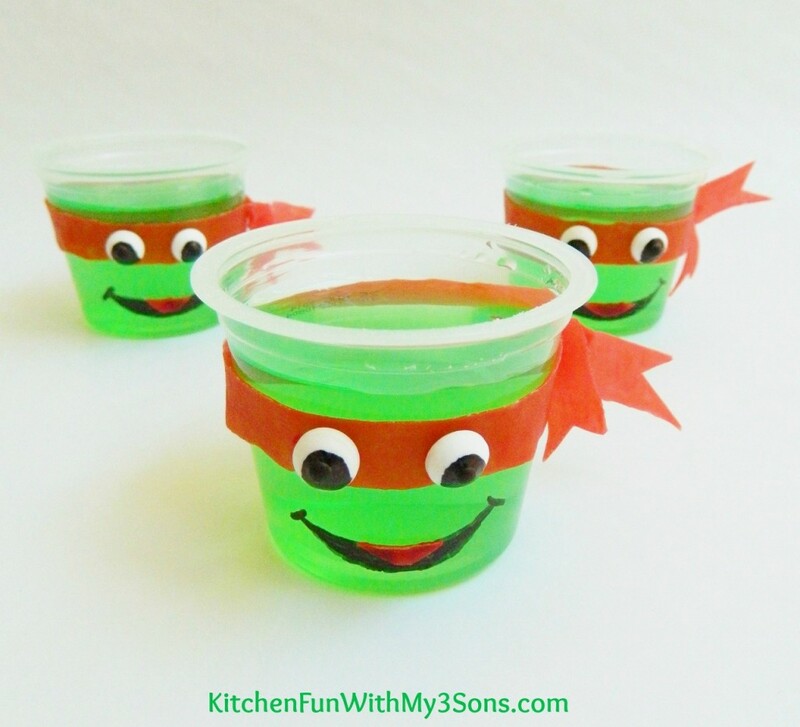 My boys wanted a fun treat today & we came up with these fun Teenage Mutant Ninja Turtle JELL-O Cups! 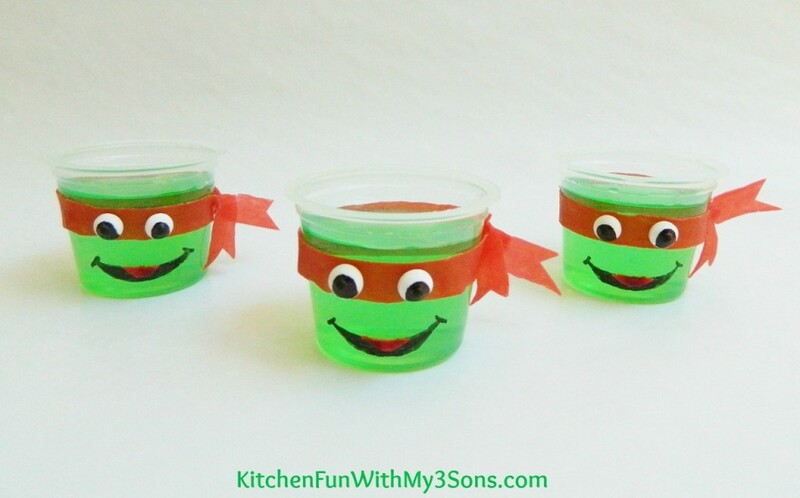 These are so easy to make & would also be great for Teenage Mutant Ninja Turtle parties as well! 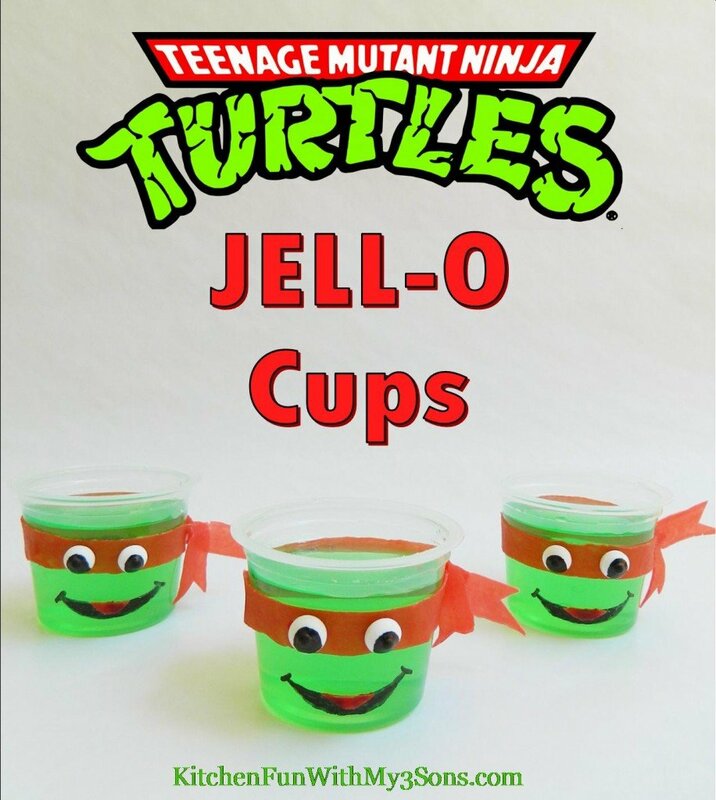 Pull off the tops from the Jell-o cups. 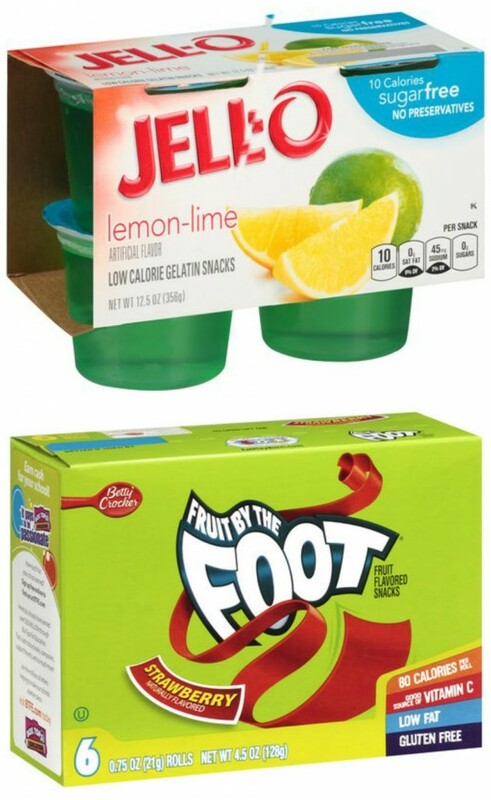 Pull off the strawberry fruit roll up from the paper & wrap around the Jello tying on the side. Cut the ends using kitchen scissors. We colored our edible eyes with black edible marker to look more like the turtle eyes. Just press the eyes on the fruit roll up in the front. We drew on a mouth with the marker & then add a small piece of fruit roll up. 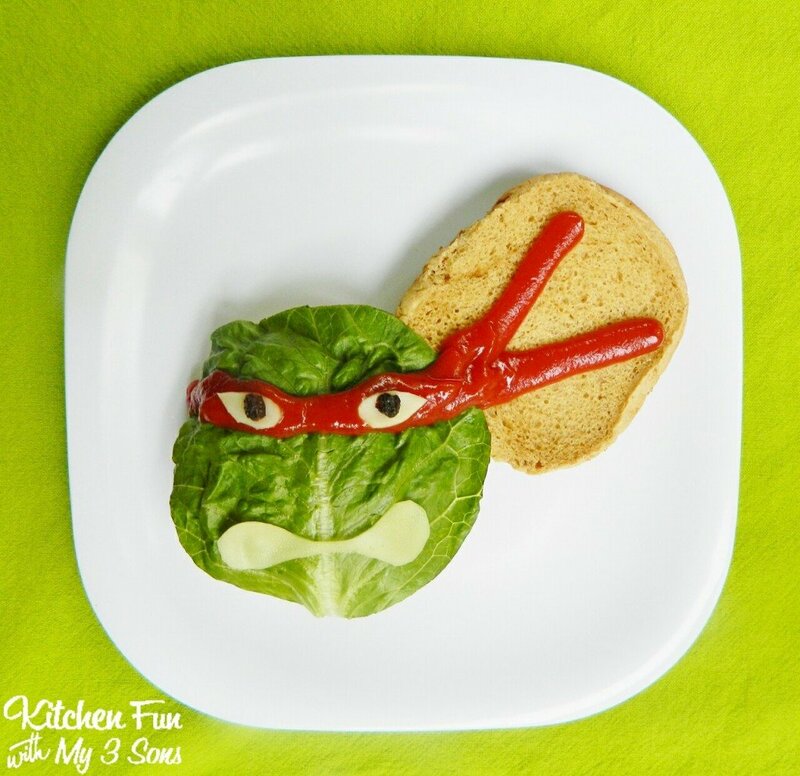 Your little TNMT fans will just love this & they can also help make this themselves! Here is another fun TNMT creations we made. « Previous PostEdible Potty Rice Krispies Treats for a Potty Party including a FREE Printable! Next Post » The Very Hungry Caterpillar Fruit Snack AND Contest! Oh I LOVE those ideas!! How cute!!! 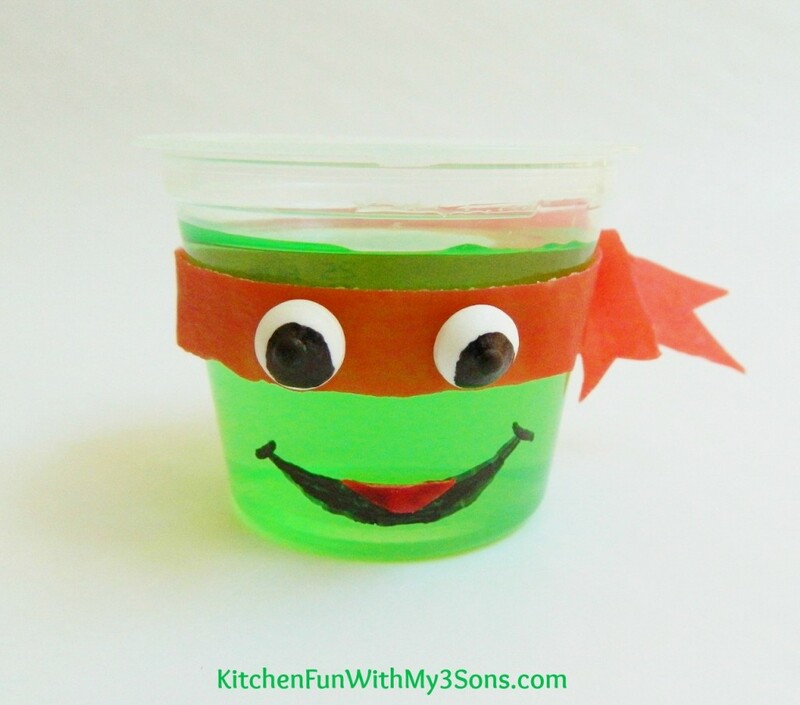 If only my son like jello…he would love this! These are adorable!! 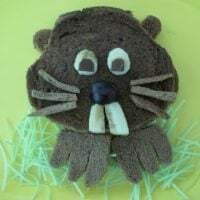 I'm going to have to make these for my son! I wonder if I can find fruit by the foot for all the Turtles? 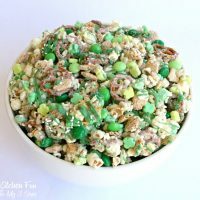 Thanks for sharing this fun recipe with us at Full Plate Thursday. Have a great week and come back soon! How did you do the eyes? On a white paper and do it just stick to the candy? 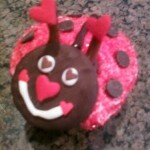 Amaznig … My daughter is going to love these!. .. Thanks!